In the late 1980s when I worked for the US Department of Education, I dreamed of an interactive, participatory multimedia television series. It would be a weekly series that established a problem the first four days of the week and then viewers would submit solutions on Friday. This was before YouTube or Facebook. If I were writing the proposal today, I would have many more exciting technology-based possibilities. 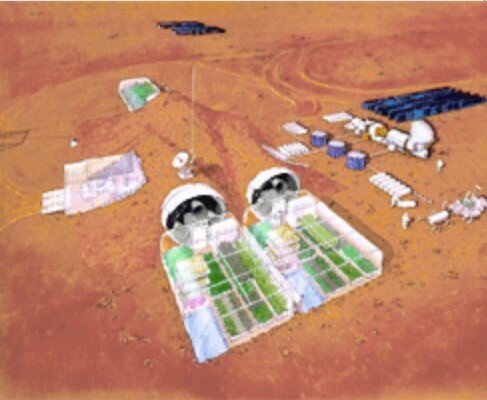 A segment of the series might focus on establishing a Mars habitat. Major problems to be solved are (1) developing protection against radiation, (2) creating an adequate water supply, (3) growing food, (4) disposing waste, (5) learning to live together for long periods in a confined space, and (6) supplying ample energy for the habitat. The first four days, the program would provide a storyline that gives the learners background information about the possible solutions. Students using a package of visuals, including avatars, would develop a video for their solution. Each class can then place it on YouTube for others to view. Other learners can provide comments and advice on Facebook. They can support or challenge the solution rendered by the avatar-based solution. For example, the science fiction clear plastic domed city might be used. Others might question how such a dome can protect against radiation or even how it can be built. I envision a pro and con battle by participants in the Facebook section of the project. The project would have a library of relevant materials that can be used to justify solutions or support challenges. There will be a storyline for the interactions of the main characters in the Mars settlement. How do they live together? How do they react to long separations from their Earth-bound family and friends? What if any effect does 40% Earth gravity have on their health? What happens in emergencies? Can humans live successfully on Mars for long periods of time? I would envision that there is an extensive library of scientific data from NASA that enables users to build pro and con arguments for the issues portrayed in the project. Our new array of technical resources enable us to dream of a wide range of uses that enhance learning. I think there were great ideas like this going before we termed everything as social media. I used the National Geographic Kids Network and immediately got it that the kids were as interested in the other students as in the subject matter.. they wanted to know, who they were, where they were from, and other details, Students who said they hated writing , wrote and wrote and wrote. scenario.. we needed the information, we needed to know certain information , we studied the content and used our noggins to solve the problems.. It was a chance for innovative thinkers, problem solvers and content specialists in the classroom to work together . Moonbase America, Marsville, and Mars City Alpha come to mind as some other projects that were exciting and wonderful to teach. We often met the students in real time because telephones and the Internet were not everywhere at the time. We began to let the students learn to be the experts in areas of study. It changed teaching and learning in wonderful ways for those of us along for the journey. In the Voyage of the Mimi 2, I was tasked with defining what it was, was it social studies, science, anthropology or, something else. I had to get permission to use it. So I cheated , I took it to the gifted and talented office and it was immediately approved and we did the integration of subjects and we had a “lumaphone” so we talked to classes about the things we learned, to ciientists about the science, and to art museums and institutions about the Maya. . The pictures were in black and white and we could capture pictures. We were so excited , we had to communicate with the teacher, set up the appointment and our translators, the students who were skilled in several languages were able to demonstrate their skills. How exciting it was to have a student who spoke Mayan in the class. How wonderful it was to have a student who was from the Bahamas , who was an accomplished diiver to talk with us about the sea, .. and there was the zoo to visit to see the animals we were going to talk about. When computers first went into classrooms we had a series of projects around the country that we hoped kids would begin to interact with each other. If there were sites in DC, LA, VA and MD the kids seemed to be afraid to interact across country. The DC kids interacted with MD kids and not LA kids. I do not think we have that problem today. They were and I assume remain interested in learning personal information about one another.